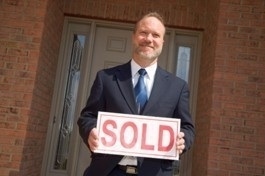 RISMEDIA, December 23, 2010—Existing-home sales got back on an upward path in November 2010, resuming a growth trend since bottoming in July, according to the National Association of REALTORS®. Existing-home sales, which are completed transactions that include single-family, townhomes, condominiums and co-ops, rose 5.6% to a seasonally adjusted annual rate of 4.68 million in November from 4.43 million in October, but are 27.9% below the cyclical peak of 6.49 million in November 2009, which was the initial deadline for the first-time buyer tax credit. Yun added that home buyers are responding to improved affordability conditions. The national median existing-home price for all housing types was $170,600 in November, up 0.4% from November 2009. Distressed homes have been a fairly stable market share, accounting for 33% of sales in November; they were 34% in October and 33% in November 2009. Foreclosures, which accounted for two-thirds of the distressed sales share, sold at a median discount of 15% in November, while short sales were discounted 10% in comparison with traditional home sales. Total housing inventory at the end of November fell 4.0% to 3.71 million existing homes available for sale, which represents a 9.5-month supply at the current sales pace, down from a 10.5-month supply in October. According to Freddie Mac, the national average commitment rate for a 30-year, conventional, fixed-rate mortgage rose to 4.30% in November from a record low 4.23% in October; the rate was 4.88% in November 2009. A parallel NAR practitioner survey shows first-time buyers purchased 32% of homes in November, the same as in October, but are below a 51% share in November 2009 from the surge to beat the initial deadline for the first-time buyer tax credit. Investors accounted for 19% of transactions in November, also unchanged from October, but are up from 12% in November 2009; the balance of sales were to repeat buyers. All-cash sales were at 31% in November, up from 29% in October and 19% a year ago. “The elevated level of all-cash transactions continues to reflect tight credit market conditions,” Yun said. Single-family home sales rose 6.7% to a seasonally adjusted annual rate of 4.15 million in November from 3.89 million in October, but are 27.3% below a surge to a 5.71 million cyclical peak in November 2009. The median existing single-family home price was $171,300 in November, which is 1.2% above a year ago. Existing condominium and co-op sales declined 1.9% to a seasonally adjusted annual rate of 530,000 in November from 540,000 in October, and are 32.2% below the 782,000-unit tax credit rush one year ago. The median existing condo price was $165,300 in November, down 5.5% from November 2009. “At the current stage of the housing cycle, condos are offering better deals for bargain hunters,” Yun said. Regionally, existing-home sales in the Northeast rose 2.7% to an annual pace of 770,000 in November but are 33.0% below the cyclical peak in November 2009. The median price in the Northeast was $242,500, which is 9.2% higher than a year ago. Existing-home sales in the Midwest increased 6.4% in November to a level of 1.00 million but are 35.1% below the year-ago surge. The median price in the Midwest was $138,900, down 1.1% from November 2009. In the South, existing-home sales rose 2.9% to an annual pace of 1.76 million in November but are 26.1% below the tax credit surge in November 2009. The median price in the South was $148,000, down 2.6% from a year ago. Existing-home sales in the West jumped 11.7% to an annual level of 1.15 million in November but are 19.0% below the sales peak in November 2009. The median price in the West was $212,500, up 0.4% from a year ago.